I knew the way you know about a good melon. The Melon Moment is the best part of reading, because it usually happens pretty early on in the book, and you get to sigh happily and look at all the pages you have left to read and all of delicious melon left to eat. Melons are enormous. I am taking this analogy very very far. She rested her head against his and felt, for the first time, what she would often feel with him: a self-affection. He made her like herself. With him, she was at ease; her skin felt as though it was her right size. 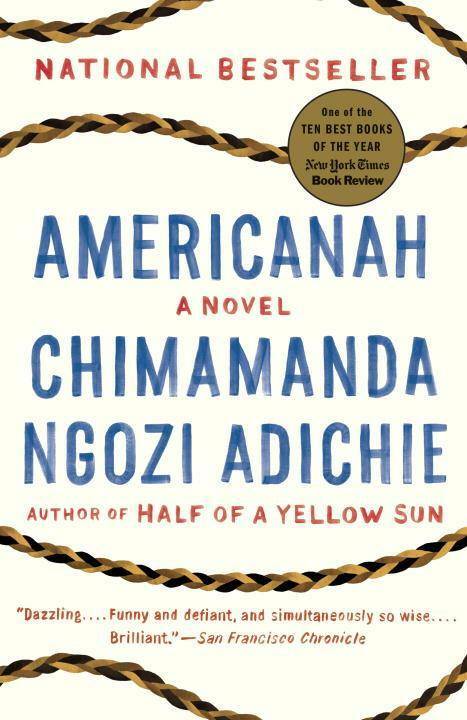 Americanah is not only a love story. It’s not even mainly a love story. It’s mainly a book about Ifemelu, a Nigerian woman finding her way, in America and Nigeria—and finding her way, not just her way back to Obinze, the man she fell in love with as a teenager (although she does that too). But this is the great thing about their relationship, and it’s right there in that first moment: this is a love story about two people finding themselves through each other. This entry was posted in June 2015 and tagged americanah, chimamanda ngozi adichie, June 2015, love stories, melon moment, pecan pie, when harry met sally. Bookmark the permalink. I am going to read this !! !